oh, i can’t claim living a life caring for the earth all i could. there is so much more i could do every day. 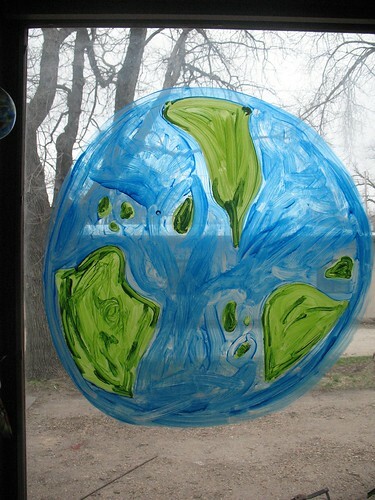 but we do know the beauty of the earth and added some to our windows. i used to do this at preschool all the time and the memory came quickly when we were talking about earth hour. 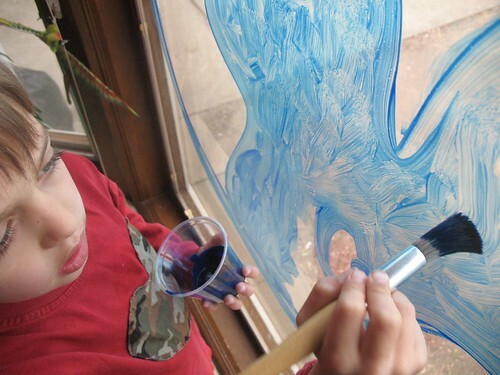 so with blue paint, yellow paint, a little mixing, some serious boundaries of where to paint, three of our windows became world windows. Oh, this sounds lovely. Wish I could have participated with you all–and wish I’d had my wits about me to have thought of something so fun and celebratory! Good for you! We celebrated earth hour here by candlelight too, with tired and headach-ey kids. It was so cozy, Abby has been asking to turn out the lights every evening and visit by candlelight. Any feedback on the effect of earth hour this year? 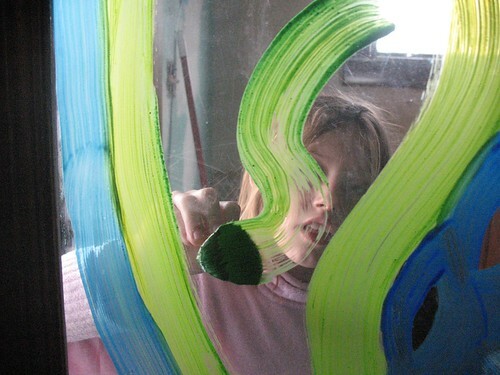 What a nice celebration…I love your idea of painting on the windows. nice! i imagine your kids will remember this one. what a good lesson. Oh, how disappointed in myself I am!!! I sent you an email on EARTH HOUR in hopes you would participate with me. Now I realize I forgot about it. ;( So glad you did it. That’s great. Maybe I’ll do mine on earth day to make up for it. 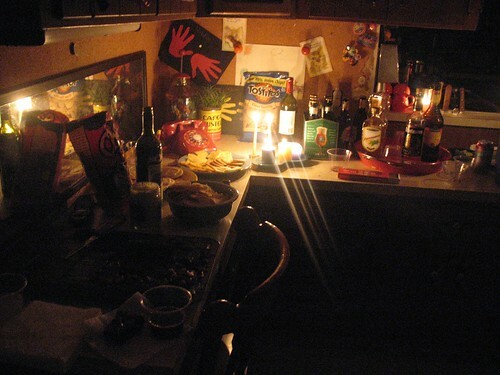 I don’t even know about this earth hour thing you talk about.??? Sounds like something I should participate in. Kids would love it too. Fill me in. I missed it but could certainly do that sort of thing any day of the year. That is awesome!! 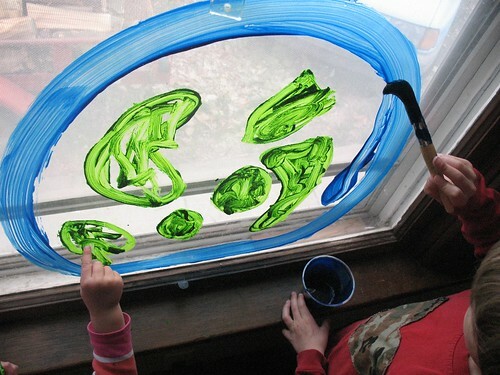 What kind of paint did you use on your windows?